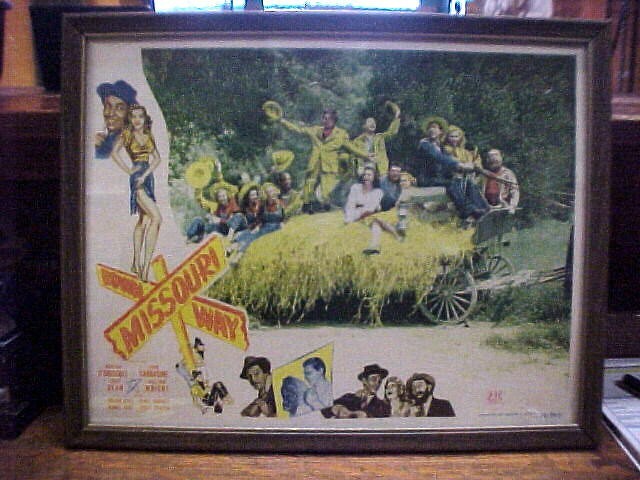 Original Lobby Card Eddie Dean "Down Missouri Way"
Original Lobby Card Eddie Dean in Down Missouri Way. 11x14 Framed Fasinating to see who else was in movie that later became stars in their own right. Original Lobby Card Eddie Dean in Down Missouri Way. 11x14 Framed Fasinating to see who else was in movie that later became stars in their own right. Please email cowboycabin@centurytel.net with questions or call 406 270-2842.